Predictably Wincanton was called off today thanks to the frost. We have entered both mares at Ludlow next week instead but I suspect races will be well subscribed. 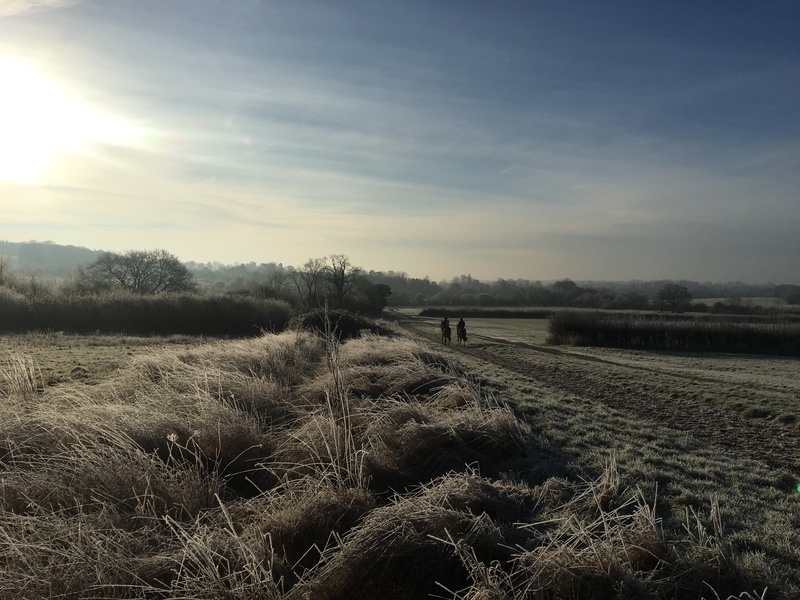 Luckily the frost does not stop us exercising the horses and we had routine morning of cantering and the weekly Thursday weigh in for the horses. It was like the Alps on top of the gallops this morning and fresh air can be better than champagne. There is snow on the way but we are well prepared. Cliff Lines’s racing career came to an end in a fairy tale style at Lingfield yesterday. The 84 year-old rode some greats including Shergar, Sonic Lady, Shareef Dancer and the brilliant two-year-old J O Tobin. Like many old racing folk, I am sure there is a great book in him.